Each year BBB writes a monitoring report on the avifauna species and habitat of the Byron Bird Wetlands and Vallances Road. The purpose of this study is to build on the results of monitoring of the avifauna populations at West Byron Wetlands (Byron Bay) and Vallances Road (Mullumbimby), in order to determine trends in bird diversity and populations at these two sites. The report also provides a number of management recommendations for the two sites to maintain stable populations of avifauna species and to improve visitor education. 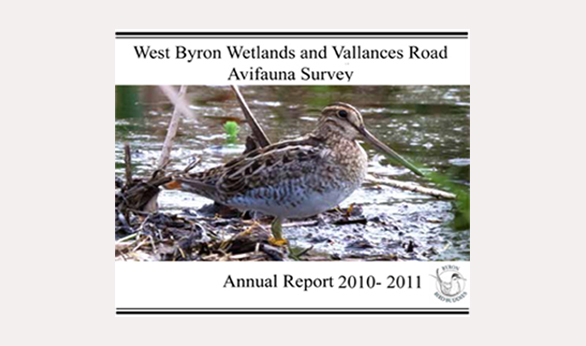 The Monitoring Report of West Byron Wetlands and Vallances Road Avifauna Survey (2010-2011) can be downloaded HERE.